Thank you for stopping by! This is a funny Naija blog by a Nigerian blogger. My online name is Jollof and I am a young Nigerian male residing in Lagos. The Crazy Nigerian is a blog that takes a unique perspective of my personal life and life in general. It’s funny, direct and quite unpredictable. Expect a post at least once a week. 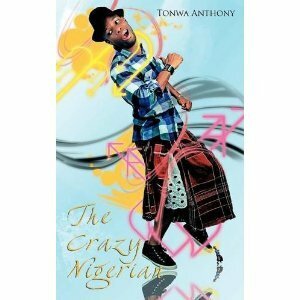 Look out for my gut-busting book, The Crazy Nigerian out now! Comments are welcome and you can subscribe on the right-hand side of the home page if you enjoyed the articles. My contact email address is dcrazynigerian@gmail.com if you would like to advertise on my blog. “Here’s to the crazy ones.The misfits. The rebels. The trouble-makers. The round heads in the square holes. The ones who see things differently. They’re not fond of rules, and they have no respect for the status-quo. You can quote them, disagree with them, glorify, or vilify them.